If you’re not familiar with the term zero gravity let me provide you a quick definition. A zero gravity chair is one that places your body in a horizontal position such that your legs are raised above your heart. This type of positioning is ideal for relaxing the body and allowing you to take full advantage of all the benefits of a good massage. This chair actually has two levels of zero gravity – one that brings you into a basic horizontal position and a second position that actually tilts you slightly backwards. While one isn’t necessarily better for everyone, with a little trial and error you’ll find the position that feels most comfortable for you. This chair also has a couple of unique program functions which allow you to choose either a yoga stretch method or a Chiro program. The yoga stretch encourages you to stretch and hold your body in positions that relaxes your muscles and the Chiro stretch actually stretches out your back, relieving all the tension of the daily grind from your muscles. While a lot of massage chairs offer heated massage they’re often somewhat limited. This chair actually has two different sections that can be targeted with heated massage to both your back and your calves. For most people these are the trouble areas that need the most work, as they do the brunt of the work during your daily activities. Another complaint that many people have about less-expensive massage chairs is that they don’t focus on the hard-to-reach areas such as your lower spine and your buttocks. This chair is designed to massage you everywhere including your buttocks, which means you’ll come away from it feeling much more relaxed and de-stressed after a hard workday. There are times where you may not have time for a full body massage, but perhaps you want to take five minutes to massage some unwanted pain, in your calves for example. This chair has several different auto program functions which allow you to target different sections of the body for anywhere between 5 and 30 minutes. So if you’ve just finished an intensive workout at the gym where you were lifting heavy weights and your calves feel like they’re on fire, you can choose to focus on massaging your calves to relieve that tension. That means you can go ahead and work out as hard as you need to at the gym knowing that when you head home you’ll be able to take care of any pain from overexertion. 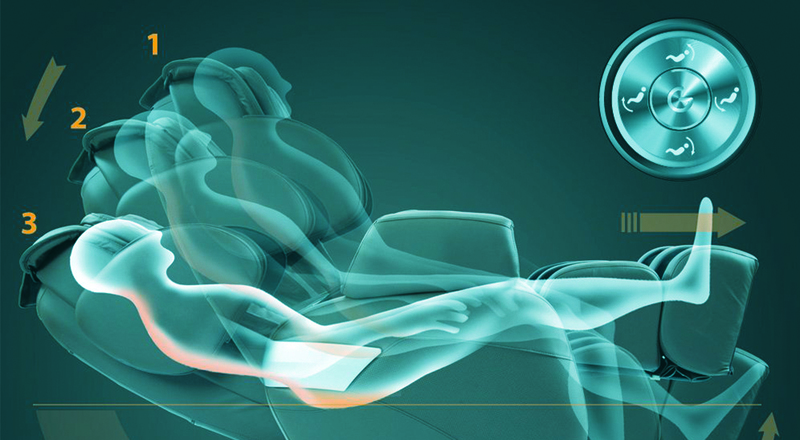 Perhaps the most impressive feature of this particular massage chair is that it includes something called a 3-D body scan which actually allows it to determine problem areas in your body and suggest the most appropriate areas to target that evening. Of course you can always opt for a full body massage, but if you’re a little pressed for time this is a great feature to have. It’s an added little bonus which is missing from most of its competitors. It offers a full body massage and promote the overall well-being. It focuses on the stress points located on different parts of your body and soothes them instantly. What I love the most is the zero gravity reclining position that positions your body in the perfect angle for best massage. This amazing massage chair works like a professional massage therapist. It has simple and user-friendly control panel with push buttons to give different commands. The exclusive head to toe massage relaxes your muscles, loosens the tensed areas and soothes the spinal area as well. This is its main selling point. There is a heating unit located right in the lumbar area. While the chair is busy giving you a relaxing massage, the heat therapy function automatically activates and gives maximum relief from back pain and soothes the body. The preset Massage and Yoga programs help to eliminate the toxins and waste products and promotes blood circulation. This helps to give instant relief on the painful areas of the body. There are dual foot rollers that provide a relaxing massage on the sides and soles of your feet. This soothes the foot pain and also helps to release endorphins, which are the ‘feel happy’ hormones in your body. 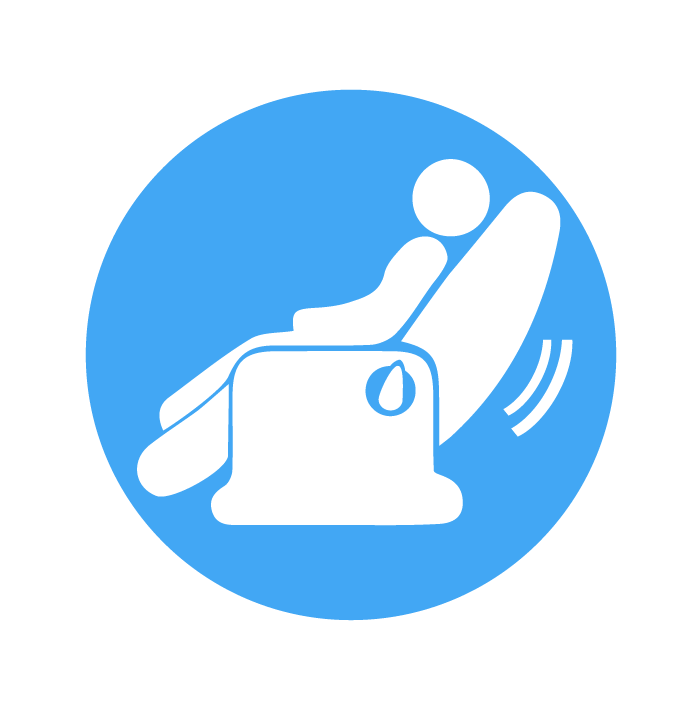 Its Zero Gravity Feature reclines your body to the perfect angle where this massage chair stretches your body with unique targeting on the legs and pelvic region. This is combined with a 30 minutes session, and the results are beyond incredible.